5 Tips for Preparing for your Walt Disney World Vacation! You did it! You’ve booked a trip to the most magical place on Earth! So now you’ve started preparing for your Walt Disney World Vacation by researching Disney World vacation planning tips, and I have several of good ones to share with you! Preparing for your Walt Disney World vacation is quite easy and can be a lot of fun. It can also go a long way for helping to make your trip even better. 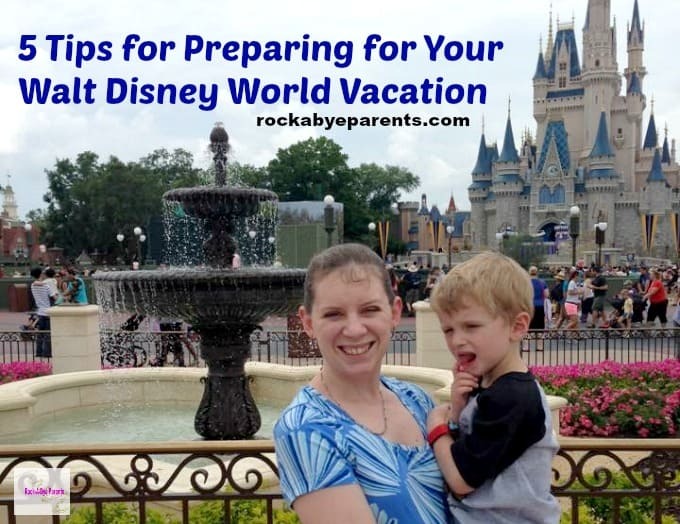 Here are my top 5 tips for preparing for your Walt Disney World vacation. One thing many people are not prepared for at Walt Disney World is the amount of walking they’ll do. Walt Disney World is twice the size of Manhattan, so Imagineers have been able to really spread things out. Plus with the way FastPass+ works now you’ll likely find yourselves going back and forth across the parks all day long. Not surprisingly a large number of the attractions in Walt Disney World are based on Disney movies. A few, like Pirates of the Caribbean, actually have movies based on them. You may want to spend some time preparing for your Walt Disney World vacation by soaking up some movie magic. You won’t have a bad time if you haven’t seen many Disney movies, but you’ll likely enjoy some things a bit more if you have. For example, you likely won’t get much out of the Swiss Family Robinson Tree House in the Magic Kingdom if you haven’t seen the movie Swiss Family Robinson. It would still be cool to look at though. To help you I’ve made printables for each of the four theme parks that tell what movies go with which attractions in that park. Feel free to download them to have as a reference. Each park is a separate download, so you don’t have to download all of them if you won’t be visiting all four theme parks. Disney characters are a big part of Disney, but not every kid likes them. I for one was completely scared of them. We have all these pictures from a trip when I was three where my mom is standing next to the characters holding me, and I’m leaning away as far as I can crying. Yeah, you don’t want that kid. 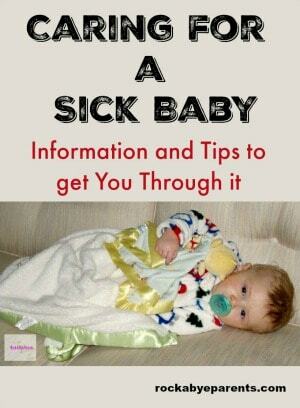 There is no sure fire way to make your child comfortable around the characters, but there are things you can try. One way is to show your kids pictures of the characters. Another way is to show them videos with the characters. The video that worked best for Nick was the Disneyland Sing Along video. What I love about it is that it has the costumed characters, but you can still hear their voices. This way Nick was able to connect that the characters he saw in the video were the same ones he knew from the cartoons he watched. If vacationing at Walt Disney World is new for you than you’ll want to spend some time researching it. There is so much to see and do at Walt Disney World. I can guarantee that you’ll have a better time if you know what’s there and what things your family wants to do. Plus you may pick up some great tips along the way that will help make your vacation even better. I also would recommend buying a Birnbaum’s Guide to Walt Disney World. This is a Walt Disney World approved guide, and it is stuffed full of great write ups on everything. Even though I’m an old hat at Walt Disney World vacations I still love to get a new Birnbaum book for our trips. If you have older elementary age kids there is even a Birbaum’s Guide to Walt Disney World for Kids by Kids. This is a really fun resource that will help your kids feel like they’re part of the planning process. 5. Make a Game Plan!!! I can’t stress this one enough. While going wherever the wind takes you can be fun it usually doesn’t work at Walt Disney World unless you’ve done it a lot. Once you’ve done your research you should sit down as a family and make a game plan. What attractions are on top of everyone’s list? You don’t want to miss any of those. Are there any night shows you want to see? Which day are you going to which park? You’ll want to figure all of this out so you can make your FastPass+ reservations and make priority seating reservations as well. Some Disney restaurants book up quickly, so you want to make your reservations as early as possible to get the ones you want. If you’re staying on property than you can book you reservations up to 180 days in advance. You don’t have to plan your day down to the last minute (although I’m crazy like that), but have a general idea of where you’re going to go and what you’re going to do. 6. Bonus Tip: Plan to NOT do it All! I have one last piece of advice for you. Don’t kill yourself doing it all. That’s when people get tired, tempers get short, and little ones get weepy. The push to see it all is what causes people to have a bad time at Walt Disney World. Even if you think it may be the only time you’ll ever go you will still have a better time if you don’t push yourselves to see everything. There is too much at Walt Disney World to make that even possible. Take breaks throughout the day too. This will give you time to relax and cool down. Most of all….have fun and enjoy the time with your family! Walt Disney World Dining Plan: Is it Worth the Cost? Thanks for sharing at the Say G’day Saturday linky party. I’ve just pinned your post…one day I will get back to America! 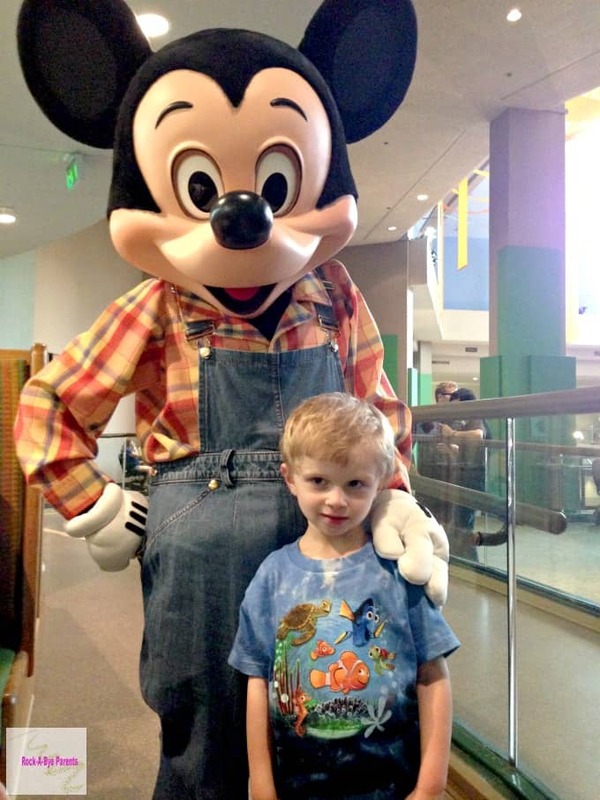 These are really great tips I need to keep in mind when I take my kids to Disney World! Thanks for sharing! And thanks for the lists of movies that go with the attractions, I think I’ve seen just about every Disney movie ever made (I grew up on the older ones) but I can’t wait to peruse the list and see what I’ve missed! These are great tips! Pinning! Stopping by from SITS Saturday Sharefest. Great tips for visiting WDW! It is so huge and takes so much time to go from one park to the next, even with a rental car, because of parking and taking the shuttle in. I was given the tip to give myself at least an hour to get from one park to the next. It was a great tip to make sure we didn’t miss any dining reservations. That is a very good tip. I don’t think people realize how big Disney is sometimes. Plus, love Disney as I do, I must say they haven’t done the best job with the signs. If you don’t know what area your resort is you’re likely to have a hard time finding it. Having worked there I can drive around easily, but even after vacationing there tons of times my mom still can get lost. Plus if you’re driving in the Magic Kingdom you have to park and still take either the boat or the monorail in. Travel around the World does take a lot of time! These are great tips! I am looking forward to planning a trip with my family next year! 🙂 When we went a couple years ago, my son was only 2 and a half. We bought one of those $20 books that has a collection of classic Disney stories to use as an autograph book. We started reading the stories early so he would be excited about the characters when he saw them because, yeah, lots of those Disney movies (though very beloved in my mind) were a little too scary for my 2-year-old. But the stories? Just right. I’m a Disney World newbie, so that’s my one and only Disney tip right there. Haha. Thank you for sharing yours– they’re good ones! What a great idea! I bet those stories became even more special once they were autographed! There are times I’m surprised that my son hasn’t been scared by some of the movies. Things like that just don’t seem to bother him. Not sure if that will change or not. Yeah, if only we could predict that kind of thing! We tried Lion King this past weekend, and I think the Mufasa death scene actually clicked with my almost 5-year-old. I watched him snuggled a little more into his Daddy and wondered if he was really getting it this time… Very interesting. He ended up liking the movie (don’t we all?! ), so all is well. 🙂 Whew. I have been visiting Disney for years as a DVC member, and you make some very good points here…especially for those with young children. It’s especially important to make reservations ahead where needed. Thanks for sharing your thoughts! Thanks for the tips, we’re all going to be first timers this fall! Lots to learn! I really want to get back to Disney. It’s been about 30 years. Can I go without kids without being creepy? 🙂 Thanks for participating in this weeks Travel Thursday Blog Carnival! The post is now live at http://vagabondette.com/travel-thursdays-blog-carnival-1st-edition/ Check it out and I hope to see your submission next week as well! Of course you can go back without any kids! When I did the college programs I would go into the parks by myself all the time. Disney is for big and little kids. These are great tips! Definitely be practicing walking! hahaha get your walking legs ready. You know what that is so true though! 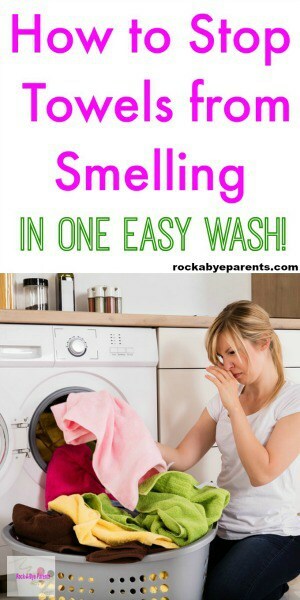 These are really great tips! I’m hoping to get the family back to Disney, before the end of the year. These are wonderful tips and what a great place to visit. Prepping by walking is such a smart tip and something I would have thought of! I love Disney World. Great tips! I definitely agree with having a game plan. Having one made our visit go so much smoother. we are Disneyland people, but we do all of these! I agree, a game plan is very important. There is just too much to do, and it is better to make choices at home instead of on the run. Great advice, and I love your movie printables…what a great idea! We’re hoping to do our first Disny-with-kids trip next year, although we might wait one more year until Claire is 3…not sure. Whatever we do, I am for sure going to get the kids up to speed on the movies for all of the attractions! I agree! We really need to plan to make full use of our time there! We actually didn’t have a game plan…and it totally worked out. We just went with the flow, relaxed and had a great time. I definitely agree with making a game plan! Making a game plan is a biggie. I think I used an app that told about lines and openings…and make you dinner reservations before you get there…or first thing….for the entire time. That was kind of a pain. We’ve never had a smartphone in the park, but I would guess that app is really useful. They have a board with wait times, but it’s usually near the front of the park, and it really isn’t helpful when you’re not near it or the attraction you want. 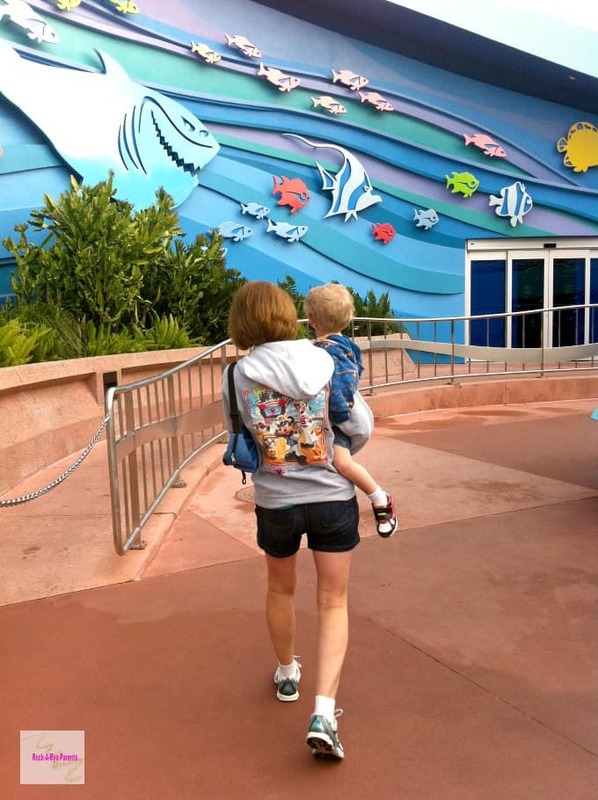 Very good Disney tips, especially about being ready to walk!. I would add to be sure to take a rest in the hole every afternoon. 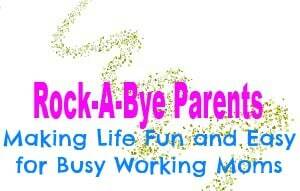 The parks are so stimulating, you and the kids need some down time. We rested at the hotel every afternoon and then we’re ready to go back to the parks for the evening! These are great tips. 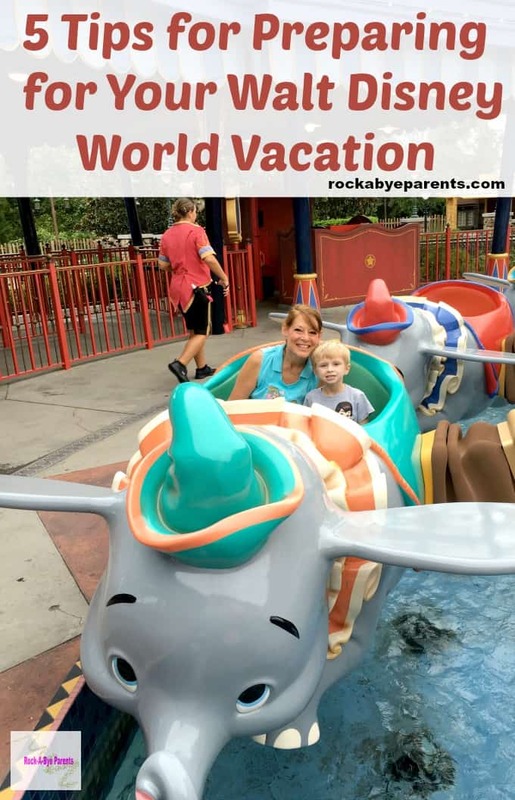 WDW is one of our favorite family vacations and we’ve been several times over the years. It never gets old and each time it’s a new and fun experience no matter what ages the kids are! September is usually the time when WDW offers the free Dining plan it seems. We can never go then so we stay in a suite resort just outside the gates that at least has a microwave and mini-fridge so that we can eat breakfast at the hotel, carry lunch in a cooler and then leave the park for dinner and to rest. Then go back after dinner for the amazing fireworks shows until the park closes! Yep it’s in September. That’s when we’re going this year. We couldn’t beat getting our food for free when Nick was free still as well. It is busy then, but we’ve been enough times that we’re old pros at dealing with the crowds. When you get their write your cell number on your child’s arm. 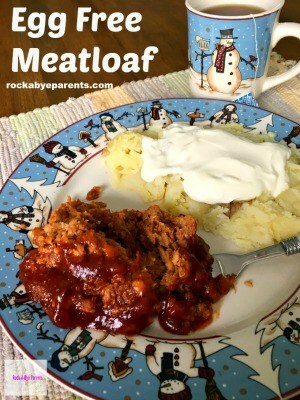 It makes re connecting children with parents a snap. I worked in a theme park for a while it really makes a difference.